Of all the things wonderful and magical about Disney World, it’s safe to say that Cinderella Castle is the most magical. The castle, which sits in the center of Disney’s Magic Kingdom, is the centerpiece of all things Disney. 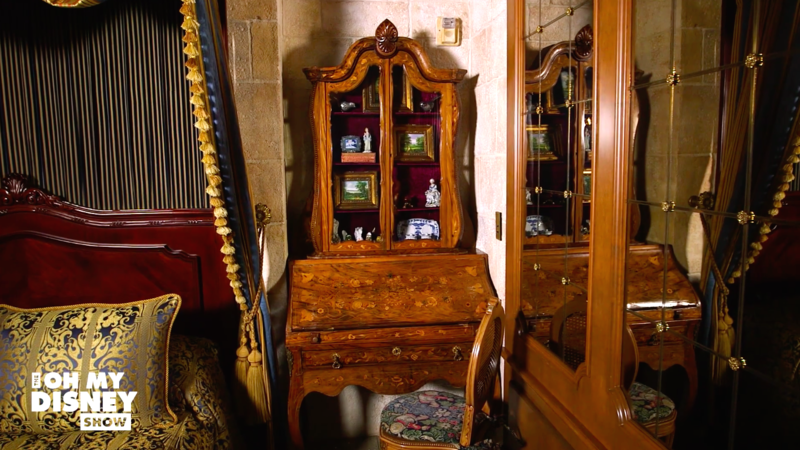 In addition to being gorgeous on the outside, part of the magic of Cinderella’s castle is knowing there’s an ~exclusive~ suite inside that next to nobody gets to stay in. Thanks to the wonderful people at Oh My Disney, we now get to see what the inside of this truly magical suite looks like. After seeing it, you won’t be able to imagine staying anywhere else, EVER! Castle Suite concierge Jordan took OMD’s Michelle into the massive suite and her reaction is *exactly* what ours would have been. 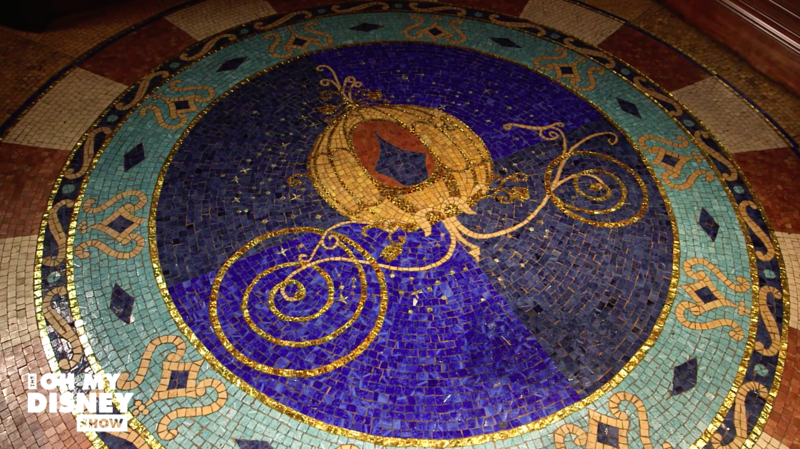 Before even setting foot inside the main part of the suite, visitors are greeted by a stunning tile mosaic of Cinderella’s carriage, complete with 14-karat gold lacquer tiles. The bedroom itself is stunning, complete with two double beds, hidden homages to the movie, and a desk that, according to Jordan, is over 357 years old. Seriously though, we can’t get over the stunning detail that makes this room the perfect 17th century fairytale bedroom. 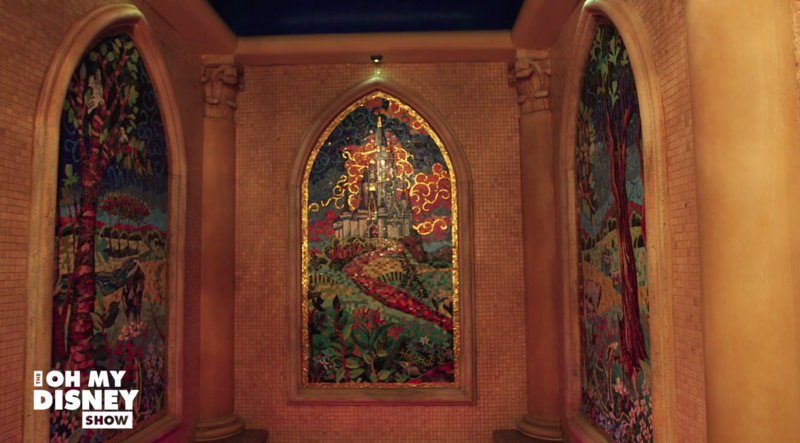 The parlor, which is also designed to have that *perfect* old-fashioned look, is complete with a little library of fairy tales, Cinderella-themed stained glass windows, and a telescope to scope out other castles. Because this is the Cinderella Suite, even the bathroom is stunning, complete with three mosaics on the walls and a hot tub with party lights. While the tour makes us want to book our stay ASAP, unfortunately, the Cinderella Suite is not easily reserved like other resorts and hotels at Disney. Instead, Disney is offering the chance to stay through a contest. To enter, check out Disney’s Fairy Tale Weddings on Freeform on May 7th!